When the IT specialists first encountered Cerber, they did not have the idea what challenge they will have to face. Remembering the myth of Cerber dog, guarding the gates to the Underworld, this virus seems to justify its title. Besides being a ransomware which is able to lock valuable personal information, it has been improved to a state that it can literally address you. In addition to that, now it can connect the infected PC to a botnet used to send out Cerber ransomware. In the beginning, the virus did not seem so terrifying. It looked like an ordinary ransomware which encrypts personal files. 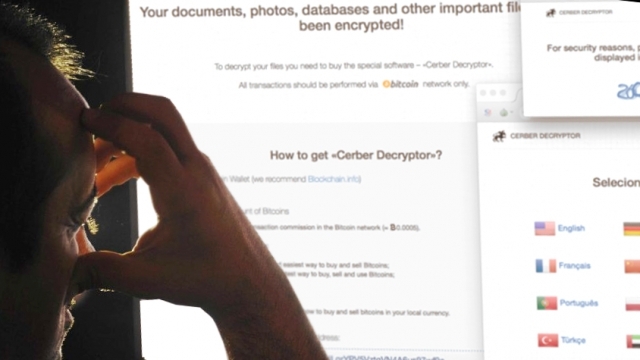 In order to retrieve them, it asked its victim to pay more than 500 dollars for Cerber Decryptor – a program which should decode encrypted files. Unfortunately, but Cerber has rapidly evolved into a full-fledged computer threat which now causes a headache not only to ordinary PC users but IT professionals as well. After encrypting the files and appending .cerber extension to every locked file, the ransomware threat now ruins essential registry keys and generates fake system alerts which restart the system by force. Moreover, after executing VBScript, it plays an audio file, which states that victim’s documents, photos, databases and other important files have been encrypted. To sum up, it seems that Cerber virus has become a “pearl” among other ransomware threats which inflicts highly severe damage. What we, ordinary users, can do against this menace? The virus has reminded us that no one and nothing can be trusted on the Web, so keep in mind that any official-looking email should be regarded with cautiousness. Finally, arming yourself with latest versions of the anti-virus and other security programs might also come as effective protection. This entry was posted on 2016-06-13 at 04:57 and is filed under News, Viruses and parasites.